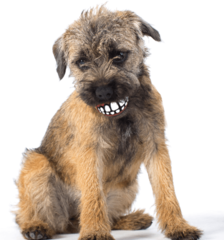 Introducing the Grinz Ball, the only pet toy guaranteed to put a toothy smile on your dog’s face… literally! This unique smiling fetch ball is comprised of soft rubber, making it the premiere toy for chewing and fetching; additionally, the ball floats, making it perfect for the dog that loves to get wet! A hole in the back of the ball allows for the insertion of treats. The Grinz ball is a source of endless entertainment! - Bounce and Fetch - Soft enough not to hurt your dogs teeth, but firm enough to bounce. - Float - Made from SEBS which floats nicely on the water for easy fetching. - Treat- Insert treats into the holes for hours of fun, entertainment, mental stimulation and reward. - Chew - Designed for dogs teeth and build up strength in thier jaws. We put a smile on you and the dog! Introducing the Grinz Ball, the only pet toy guaranteed to put a toothy, cheesy smile on your dog’s face… literally! This unique smiling fetch ball is comprised of soft rubber, making it the premiere toy for chewing and fetching; additionally, the Grinz Ball floats, making it perfect for the dog that loves to get wet! A hole in the back of the Grinz Ball allows for the insertion of treats. Endless fun. - Treat - Insert treats into the holes for hours of fun, entertainment, mental stimulation and reward. Introducing the Grinz Ball with smile, the only pet toy guaranteed to put a toothy, cheesy smile on you and the dog. This unique smiling fetch ball is comprised of soft rubber, making it the premiere toy for chewing and fetching; additionally, the Grinz Ball floats, making it perfect for the dog that loves to get wet! A hole in the back of the Grinz Ball allows for the insertion of treats, enabling assistance with training and endless entertainment!